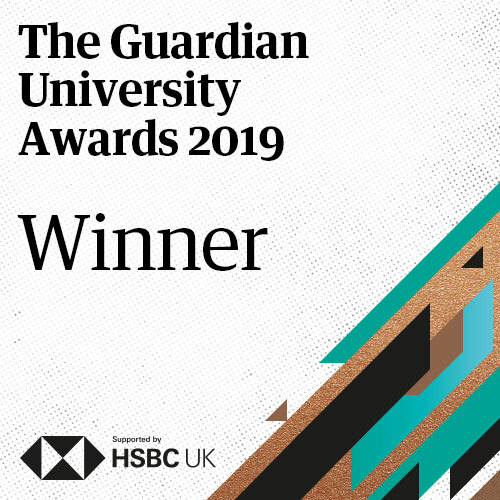 An innovative careers game for students created by Norwich University of the Arts has won the Employability and Entrepreneurship category at the prestigious Guardian University Awards. NUA’s award win was announced at a ceremony in London on April 10, which celebrated the best initiatives in UK higher education. NUA’s card and board game, called Profile, challenges students to match real-world workplace issues – from dealing with feedback and deadlines to pursuing funding opportunities and client pitches – to the skills and character attributes they need to resolve them. Gamification of the university’s careers advice has deepened and more than doubled student engagement. A virtual reality version of the game is now in development. Profile was developed after discussions with East Anglian businesses, including Aviva and BBC East, about the skills needed from graduates in creative roles. They helped to identify 10 fundamental transferable skills, as well as suggesting relevant workplace scenarios. Freelancers were also consulted about what made for successful self-employment. This information helped to design and develop the game, which was then refined by academics and professional services staff and tested by students. "The challenge is to help students define their skills and attributes and understand how these match different career options. " For press and media enquiries, get in touch with Paul Hill, Head of Communications.